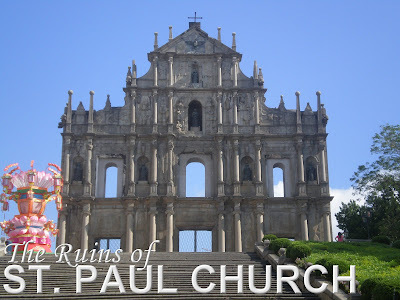 The Cathedral of St Paul was built in 1602 by the Jesuits in order to spread Christianity in Asia. A college was also built adjacent to it. But a fire destroyed the entire church and college which started from the kitchen in the year 1835. The façade is the only survivor from the fire. The ruins became the popular landmark of Macau. In 2005 it became essential part of the Historic Centre of Macau which was enlisted in the UNESCO World Heritage Sites. Oo ba, sige join ka next time.Dami kasi places to visit. Dito naman ako ngaun Costa Rica, visiting friends. Exciting ang culture nila. Take your time. Enjoy reading my blog. Thanks for your comments.